The traditional Cornucopia of Flowers is always a good choice for your Thanksgiving centerpiece. 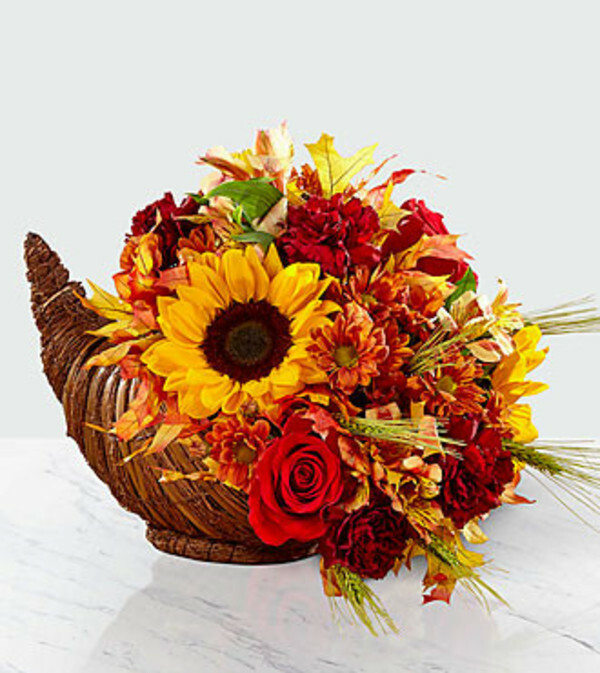 This design, inspired by FTD's holiday cornucopia, is filled with beautiful Fall flowers, trimmed with wheat and faux leaves. 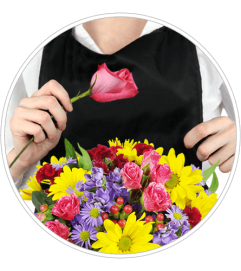 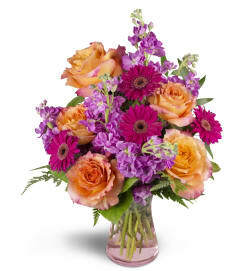 Hand-delivered by your Local Florist! 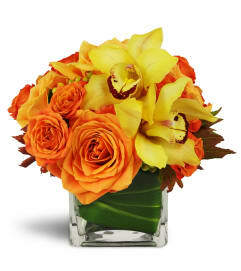 **NOTE** - by upgrading to the Deluxe or Premium, you get more premium flowers and a larger design!